What my well-worn copy looks like. In 2011, I was on an AWP panel on Linked Stories with Anne Sanow, Cliff Garstang, and Dylan Landis. 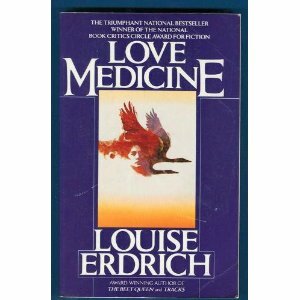 To prepare her thoughts, Dylan Landis wrote a blog post about Louise Erdrich’s Love Medicine, a book that taught her much about the form. Whether you’re writing linked stories or trying to teach your students to write them, this is a fabulous read.